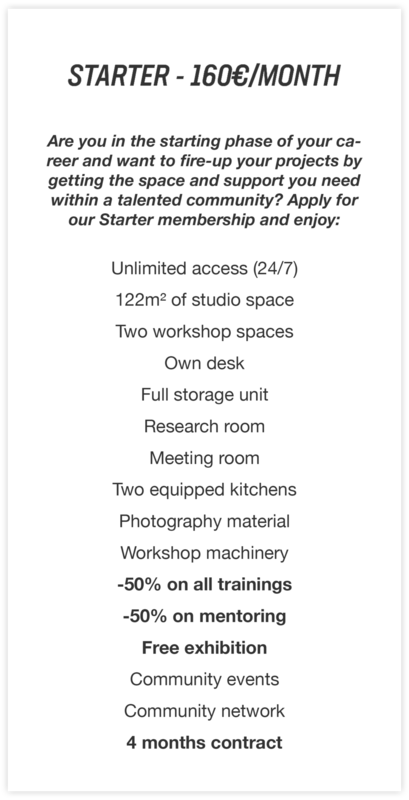 Become one of our members, take a pass for a part-time access or try our space for free. The Commune offers access options suiting all profiles, schedules and budgets. Anyone can enrol for our trainings and mentoring sessions, for which some of our memberships offer substantial discount. The three memberships contracts allow for the registration of your business and the reception of your mail at The Commune’s address. 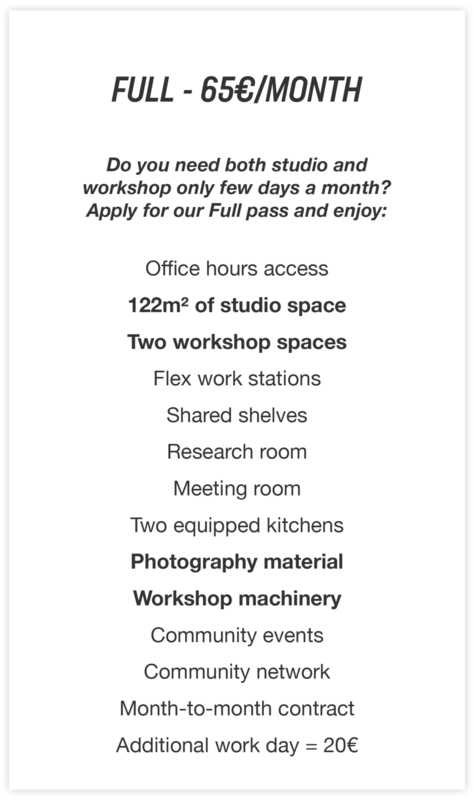 Our memberships and passes include free Wi-fi, space maintenance and cleaning. All of our prices include service costs and are excluding VAT. Give yourself the time to start your company in a safe and inspiring environment until you reach the work and financial stability allowing you to get your own studio. At The Commune, all the knowledge, facilities and people you need are within reach. Our memberships are a true investment on your career. Make the best out of the days you dedicate to your freelance work. Take your laptop and sit behind our large flex-desk, mingle with our members, make use of our equipment and enjoy the work atmosphere. 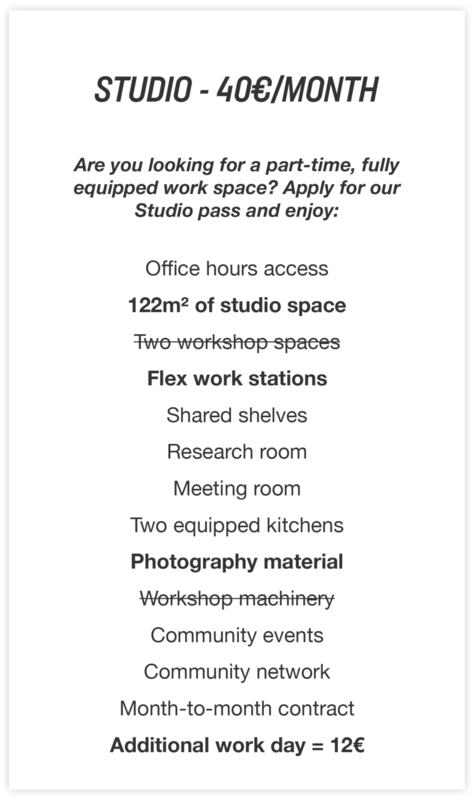 Each pass allows you to join The Commune up to 5 days per month.